The city of Udaipur has once again in 2018 been ranked among the World's Best Cities by Travel + Leisure. Udaipur, the heritage-city built by the Maharanas of Mewar in the 16th century, is on the third place among the 15 of the world's best cities. The top 2 cities are both in Mexico: San Miguel de Allende and Oaxaca. 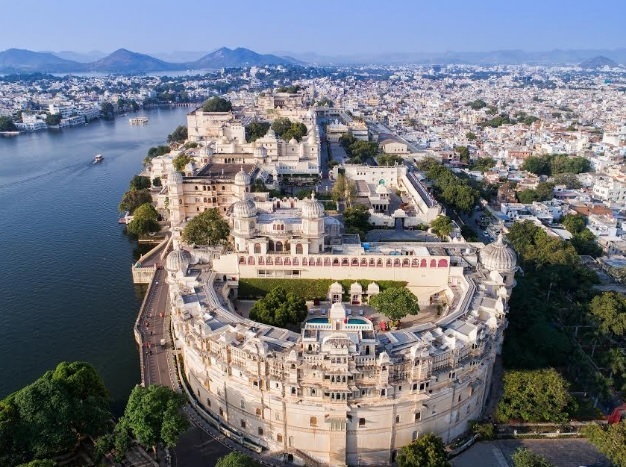 In 2017, Udaipur had received this distinction by Travel + Leisure, having beaten scores of other international tourist hotspots to be crowned among one of the world's top 15 cities in a new poll. As part of the World’s Best Awards survey, readers of Travel & Leisure magazine were asked to rank their favourite urban destinations based on sights and landmarks, culture, cuisine, friendliness, shopping, and overall value. Udaipur is once again the only Indian city to make the final cut, ahead of other major tourist destinations including Mumbai and Delhi. Its inclusion in 2018 follows past success in 2009 when Udaipur topped the same poll and was voted as the ‘best city in the world to visit’. Known as both the City of Lakes and the Venice of the East, Udaipur occupies a stunning location on the banks of Lake Pichola in south Rajasthan. Known for its breathtaking scenery, majestic palaces, world-class museums and luxury hotels, Udaipur is steeped in history, having been home to successive generations of Maharanas of Mewar. Shriji Arvind Singh Mewar of Udaipur, Chairman and Managing Trustee of Maharana of Mewar Charitable Foundation (MMCF) said, "The Travel + Leisure ranking placing Udaipur in the third place is a major honour for every citizen of the city. I wish to congratulate all agencies of the government and the tourism industry who have continued to do their best for the city of Udaipur." Udaipur is now rightly seen as one of the prime tourism cities of India and the magnet for visitors remains the City Palace Museum. Shriji Arvind Singh Mewar said, "We are custodians of the living heritage of Mewar and Rajasthan. We are continually reinvesting resources in order to revitalise the museum and attract domestic and international visitors to our city," he said. Since 2016-17, the City Palace Museum continues to attract over one million visitors annually. It is a record that gets better with each passing year. MMCF has been actively promoting the Museum in India, UK, Europe and the US through different outreach programmes. Collaborations with Oxford eResearch Centre, Domaine national de Chambord and the Getty Foundation have also added significant value to MMCF’s ongoing programmes. Covering an area of 200,000 sqft, The City Palace Museum dates back to 1559 and has been home to 23 successive Maharanas of Mewar, the world’s oldest serving royal dynasty. The Museum opened to the public for the first time in 1969 in a bid to further safeguard the area's heritage and the time-honoured traditions of the people of Mewar, while also allowing visitors to gain a greater understanding of the region's vast history and culture. The City Palace Museum's collections are vast and cover a huge variety of historical artefacts, ranging from 6th century sculptures and a superb armoury collection, through to galleries devoted to paintings, photography, textiles and costumes, music and silver. For more information, please visit www.eternalmewar.in.